OMG! Many blocks fall from the sky. Move Mr.Papi (red ball guy) and break the blocks to get scores. Touch the buttons at the bottom to control. - Press LEFT/RIGHT buttons to move Mr.Papi. He can climb only one tier of blocks. - Press DOWN button to break a block under him. You can get more scores if he breaks higher blocks. 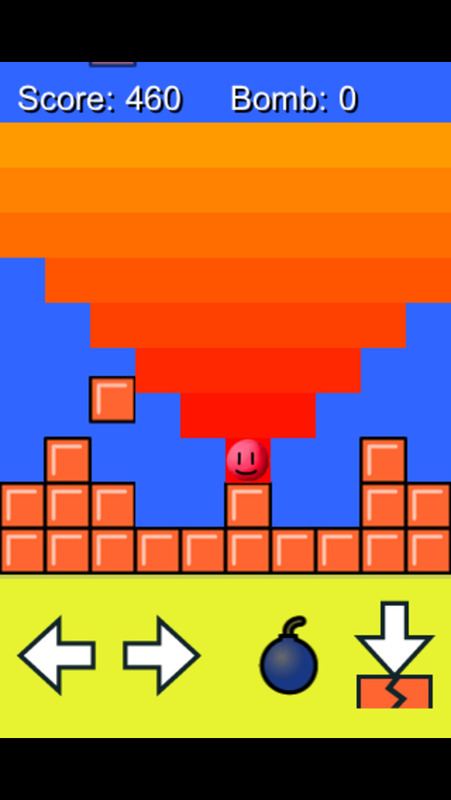 - Press BOMB button to use a bomb and clear all the blocks above him. You get a new bomb every 500 points of scores. - The game ends if he is crushed under a block.